No gentle opener this testing Par 4. 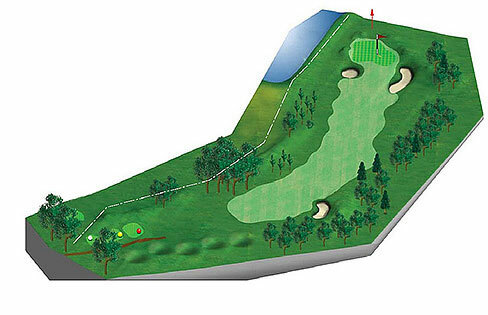 The tee shot favours the brave, if you choose to hug the large oak trees to the left of the fairway you will be rewarded with a shorter iron shot to the green, but beware of the out of bounds which runs down the left side of the hole. The eye is taken when standing over the second shot by the large shallow bunker on the right of the green, but to the left not quite so obvious is a much deeper one.